In its 2017 report, the Geneva Centre for the Democratic Control of Armed Forces (DCAF) highlighted that security and justice institutions are often the main interface between states and the populations they are meant to serve. However, the states protracted ineffectiveness or poor governance can leave the door open for conflict to escalate. 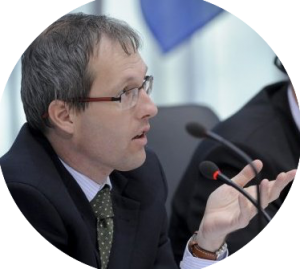 DCAF’s Dr. Hans Born spoke with VantagePoints to share his thoughts and experience on how an effective and robust security sector reform (SSR) process can be an important tool for peace and development. How did you get interested in the work of SSR? I was raised knowing that democracy is a good system to organize our society but we have to work for it. When I was still a student in the Netherlands, I was active in politics and that was how I became more aware of the importance of checks and balances as well as oversight. I was conscripted to the Dutch Army for 18 months and I experienced the importance of teaching military officers about political, cultural, and democratic reforms of the armed forces. From that time, I observed how the armed forces worked from the inside. I learned that soldiers need to be aware of good governance of the security sector which requires not only laws and regulations but also continuous training. I also see this in our work at DCAF, for example in the Philippines, that security sector reform is a tool for development. A joint United Nations and World Bank study “Pathways to Peace” (2018) shows that fragility, conflict, and violence is a major obstacle to development, economic growth, and equal distribution of wealth. It underlines the importance of addressing fragility, conflict, and violence in our work by promoting good governance of the security sector. How would you describe the current trajectory of the democratic control of the security sector across the globe? I would describe it through scenarios and examples. The first scenario is good governance of the security sector, which implies an effective and accountable security sector where it works well and the country enjoys a stable provision of security, under democratic control, in accordance with the rule of law and respect for human rights. This is the ideal scenario. The leadership respects the law and instructs the military to follow the Constitution. However, there are also negative and undesirable examples of very poor governance of the security sector happening in some countries. For example, corrupt security sector governance, meaning that security is delivered – or withheld – through giving and taking bribes and close links with organized crime. Thus, if you are a citizen and you want to report a crime, you would need to pay the police, otherwise, they will ignore you. Another negative scenario is a substandard, unprofessional security sector. Officers may be illiterate and unfamiliar with the laws of the land, which is hugely problematic since they are mandated to uphold the law. How can we trust that the rule of law will be upheld if the police cannot read the law? They are not professional in forensics or they don’t have the right equipment. The state doesn’t provide the capacity to hire sufficiently well-trained police officers. Another kind of poor security sector governance is the one characterized by political abuse of power. This means the security sector is abused by the political leaders by using them to do things that are illegal, against the international/national law or for their personal gain. In sum, DCAF tries to achieve good governance of the security sector for societies to prosper, and to stay away from corruption, abuse of power or the unprofessional delivery of security. How does DCAF engage with partner nations to enhance the democratic control of the security sector? DCAF is a foundation with 64 member states. Operationally, we only work in a state at the request of its government. It is very important to respect national ownership and national sovereignty. As DCAF, we can only support states to conduct security sector reforms, but we do not take over this role from the state. There has to be a mandate coming from the national government, although sometimes we work in countries where the mandate comes from the highest level of international organizations. It is important to keep in mind that DCAF supports security sector reform but cannot and does not want to control these reform processes. We support states to put structures in place so that they themselves can lead the change and spread the message. The ideal scenario involves supporting domestic training capabilities so that the security sector of the partner-country can take over. However, training alone is not enough. Sometimes you have to change structures. If the structure is not right, training does not make much sense. Therefore, DCAF not only focuses on training but also supporting change processes, on giving legal and policy advice, as well as developing knowledge products which can be used by all stakeholders involved. These knowledge products, such as guidelines, toolkits, educational and research materials, are essential as often information on how a security sector should function is lacking. For example, budget control, comparison of the legal framework of police, and systems of checks and balances for preventing abuse and corruption. Furthermore, DCAF emphasizes that security assistance alone is not sufficient and that it always should go along with strengthening the governance of the security sector. It should be both effective and accountable security provision. For example, if you only train the police to catch criminals effectively but they themselves are not disciplined or properly controlled, it can create very dangerous situations. The police can use this knowledge and equipment for corruption and a lack of proper governance will further incentivize the police corruption. Therefore, security assistance should go hand-in-hand with strengthening the governance dimension. Last but not least, an important part of our work is to engage with international organisations and to support their policy and work on security sector governance, e.g. the United Nations, World Bank, African Union, European Union, the Organization of American States and the Organization for Security and Cooperation in Europe (OSCE). With the growing importance of the Women, Peace, and Security agenda, how does this fit in the context of current SSR efforts? In SSR, gender is a cross-cutting issue. We find it extremely important in our work. DCAF has a dedicated Gender and Security Division that develops new thinking, new training materials, toolkits, and courses on how to train security sector officials and to educate a range of stakeholders on gender equality in the work of the security sector. But there’s still so much to do because security is still a very much male-dominated sector. There should be no discrimination on the basis of gender in the security sector nor in the delivery of security. Up to a few years back, many positions in the armed forces in most countries were still closed to women, whereas in some countries the police or armed forces are still a no-go zone for women. It is only very recently that women have been accepted in the security sector, but in some countries, it is still a challenge or even impossible. Of the 50 most dangerous cities in the world, the majority are in Latin America and most of the crimes are gender related. I would like to highlight the creation of Security Council Resolution 1325 on women, peace, and security which we support as much as we can. We have to make clear to our partners that SSR is a tool for sustainable development. Good security sector governance leads to achieving Sustainable Development Goals (SDG) 5, 11, and 16. SDG 5: achieve gender equality and empower all women and girls. SDG 11: make cities and human settlements inclusive, safe, resilient, and sustainable. SDG 16: promote peaceful and inclusive societies for sustainable development, provide access to justice for all and build effective, accountable, and inclusive institutions at all levels. I think this is the way forward for promoting security sector governance as a tool for development. Does oversight from civilian officials play a role in the conduct of SSR? Are there case studies/success stories that highlight the effective contribution of civilian oversight in strengthening democratic governance of the security sector? Civilians play an important role throughout security sector governance in various capacities, as civilian staff members in the police, military, and intelligence, or as members of parliaments, civil society organizations, the judiciary, anti-corruption bodies, the media, and so on. That’s why civilians are integral to all of our work, wherever it takes place, be it in sub-Saharan Africa, Southeast Asia, or Southeast Europe. A few examples where civilians are involved in security sector governance are the Inter-Parliamentary Forum on Security Sector Governance in Southeast Asia; workshops for the media on reporting on conflict in the Southern provinces of Thailand; regional workshops for parliamentarians on dealing with preventing violent extremism in Southeast Europe; supporting national human rights ombuds institutions in receiving and investigating human rights violations in the security sector; coordination and advice for civilians in international organisations on their approach to SSR (e.g. OSCE), and others. These are just a few examples. What is the role of professional military education in conducting SSR? It is crucial for the professional security sector to understand that an effective police force or armed forces is one that is respected by the people. It is important that the police and armed forces have the public’s support and trust, especially when they are conducting operations. If the people do not trust the police, they will not help them to find the suspects, or they will not report crimes for fear of becoming a target or ending up in jail themselves. We tell the professionals that they need the cooperation of society to do their job properly. We also tell them that a strong legal framework is in their interest because that limits the government’s ability to misuse its power over the military and the police. The essence of good governance must be internalized in the education of the military. Good governance also implies that they are respectful in their service to citizens and that they learn to engage with society. They cannot do it from outside society. In the same way, if military officers see something illegal happening inside their institution, they need to report it. You cannot just control the military and police from the outside; monitoring and controls must also come from within the security institutions themselves. What most concerns you about the world today? What gives you hope? My greatest and genuine concern is about countries backsliding into conflict as well as countries backsliding from open and democratic societies into closed and authoritarian countries, hampered by abuse of power and violation of human rights. Very often backsliding to authoritarian rule goes hand-in-hand with lapsing into violent conflict. On the positive side, what gives me hope is to see that many people are committed to establishing good governance of the security sector in their own societies, in spite of many obstacles. This determination of so many stakeholders to reach a better functioning security sector is crucial and that gives me hope. Second, there is an increasing number of donor countries that see the linkage between security and development, and the realization that addressing fragility, violence, and conflict is the only way for societies to develop. Hans Born is Assistant Director and Head of the Policy and Research Division at DCAF. He has conducted policy research studies in the areas of human rights, accountability and security sector governance for the United Nations, the Organization for Security and Co-operation in Europe, the Council of Europe and the European Parliament. Furthermore, He has co-initiated the Inter-Parliamentary Forum for Security Sector Governance in Southeast Asia (IPF-SSG) and the International Conference for Ombuds-Institutions for Armed Forces (ICOAF). He has conducted operational capacity building activities in Southeast Asia at the regional level as well as in-country projects. 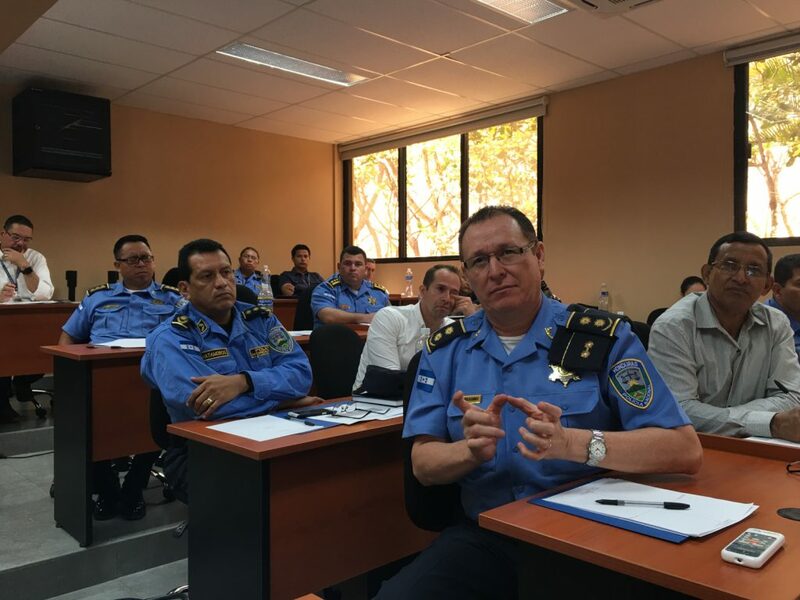 These in-country operational projects included capacity building in the areas of police accountability (e.g. 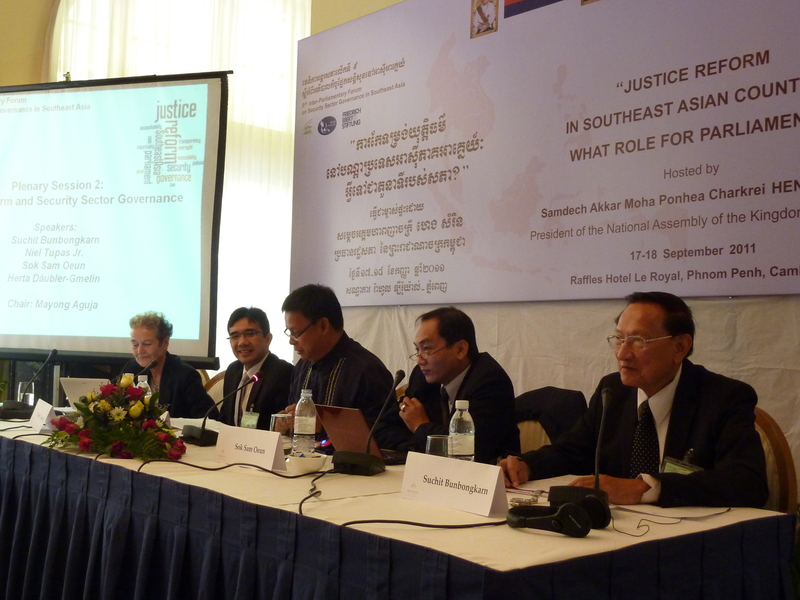 in Myanmar in the framework of an EU project to support police reform), parliamentary capacity building (in Cambodia, with support of the Swiss Development and Cooperation), SSR/DDR in peace processes (in the Philippines, on request of the Office of the Presidential Advisor on the Peace Process of the Philippines) as well as on SSR (as part of the National Defense College of the Philippines SSR workshop cycle) or support of multi-stakeholder dialogues on SSR in Cambodia, Philippines and Thailand. He holds an MA degree in Public Administration from the University of Twente and a Ph.D. in social sciences from Tilburg University. No Replies to "Security Sector Reform as a Tool for Development"